Hey gang, really incredible work up here. my name is John Isaacson, and I know Mike from comics conventions around Portland. 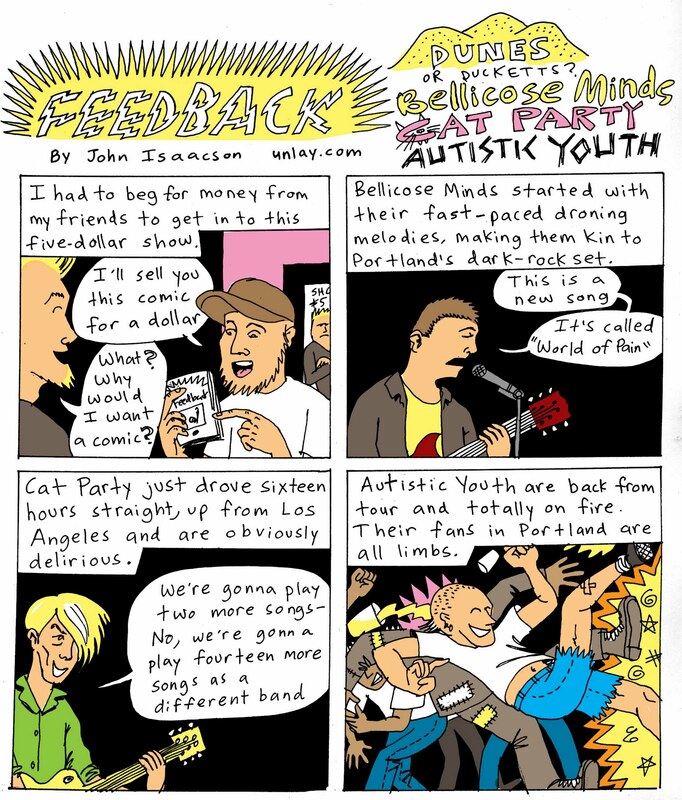 I've been making a quarterly zine of concert reviews in comics format called Feedback. I'm up to issue eight and you can check it out at Powells or Reading Frenzy if you're curious. 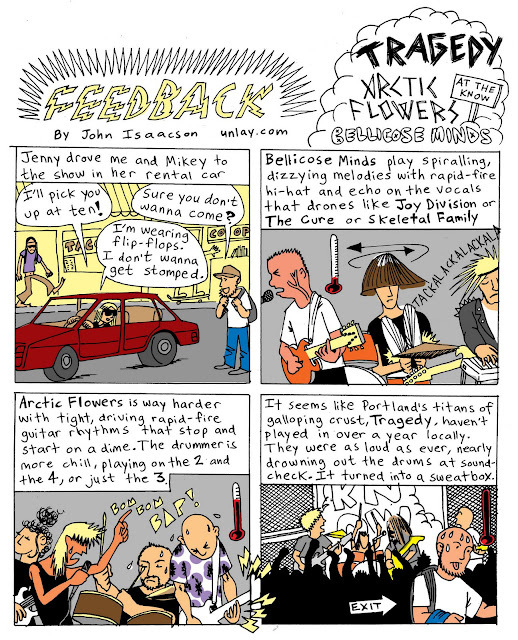 I recently started digitally coloring the strips because they were picked up for the Willamette Week's music blog, so color is free. But it takes forever to color the strips! If anyone has any advice on how to color strips quickly and efficiently (digitally), please let me know or I'll probably start coloring them by hand. Keep up the great posts!